Should You Hire An SEO Expert? Yes, you should. That is if you want your site’s ranking to improve. Hiring an SEO expert is an investment. The ROI may not be immediate, but it gives you significant results over time. Optimizing your site for the search engine is an important decision you can make to get more customers. If you do not hire an SEO expert, you are ruining your site’s chances of being at the number on the SERPs. 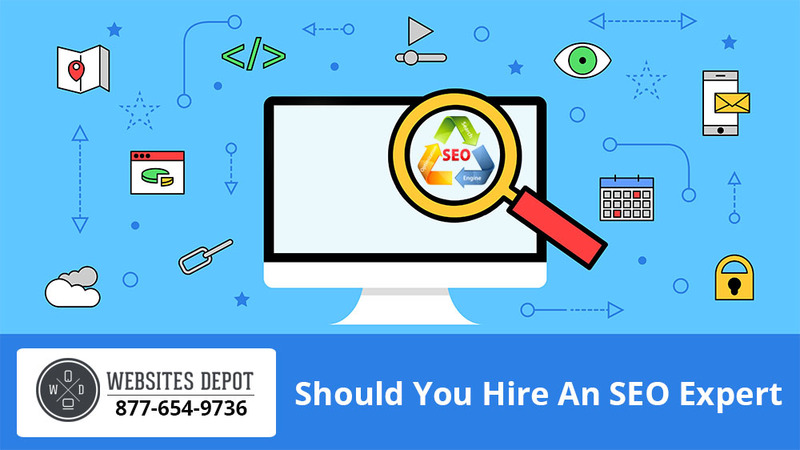 Because SEO can provide a lot of value to your business, you must consider hiring a professional to do the job for you. In this post, you will find some of the reasons you must hire an SEO expert in Los Angeles. Always remember that SEO tricks are not always good. Some tricks can only hurt your site’s ranking, and they can get your site penalized. Only an SEO expert can optimize your site using the right techniques. An expert does not use artificial backlinks, keyword stuffing, cloaking and duplicating content, among others. As part of optimizing your site, an expert will help you keep track of competitors. At Websites Depot, we use SEO tools that can keep track of our clients’ competitors. As a result of that, we can give you the right insight on the SEO performance of your competitors. In this way, you can redirect all your business efforts in getting most out of your SEO. SEO rules change frequently. Whether or not you have read five articles about the topic, there is still a huge chance of you not using the right resources. You may also not have the right time to know those changes. That said, it is better to hire a reputable SEO company that knows the top trends and requirements to optimize your site. Apart from that, an SEO expert uses the right tools. Some websites owners who do their own SEO do not use the right tools resulting in their sites getting low ranks. Hiring a pro to do the SEO job for your company is an investment. That is, you will need to shell out hundreds or thousands of money for the service. However, it is all worth it considering the long-term effects it can provide you with. When you hire a professional SEO, you will experience the perks of SEO and appreciate its real benefits, instead of using it as a marketing strategy.